I've made a daily ritual of leaving my desk to explore Caddo Mounds State Historic Site and breathe in the spirit of the place. With every little journey, the history beneath my feet blends with the living legacy of the mound prairie in an ever-changing kaleidoscope of nature and culture. For thousands of years, this slice of East Texas has been a permanent residence and perpetual campground to the Tejas/Caddo, Spanish, French, Anglo, African American, and a variety of other people. During the time of European contact, Spanish travelers to the land of the Tejas journeyed along El Camino Real de los Tejas (the Royal Road—the oldest road in Texas) and faced a muddy and difficult crossing at the Neches River. The dry mound prairie, a welcome sight to weary travelers, served as a paraje, or perpetual campground. 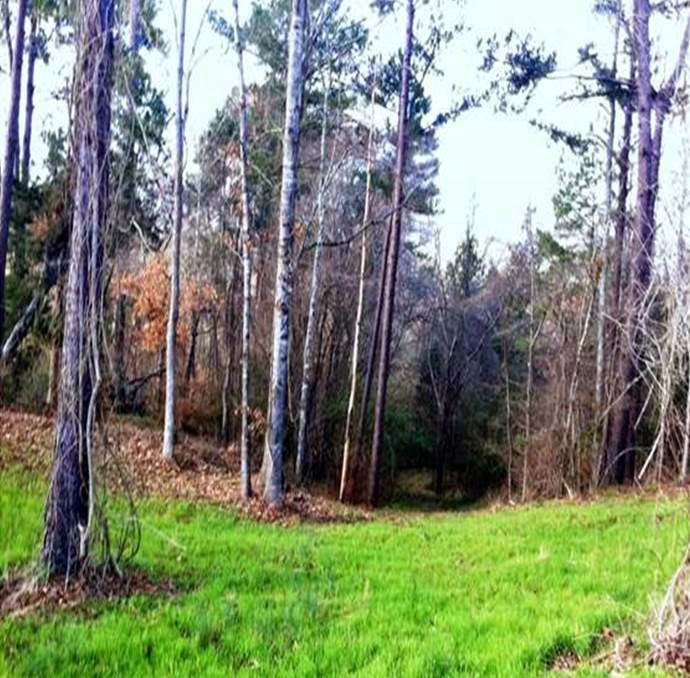 The Spanish named this place Paraje el Cerrito, the campground at the little mound or hill, and it offered a high, dry land with grass for grazing animals, edible plants for foraging, and the nearby Neches River and natural springs. Each day on my explorations of Caddo Mounds, I discover the natural bounty that has attracted man and beast throughout history. 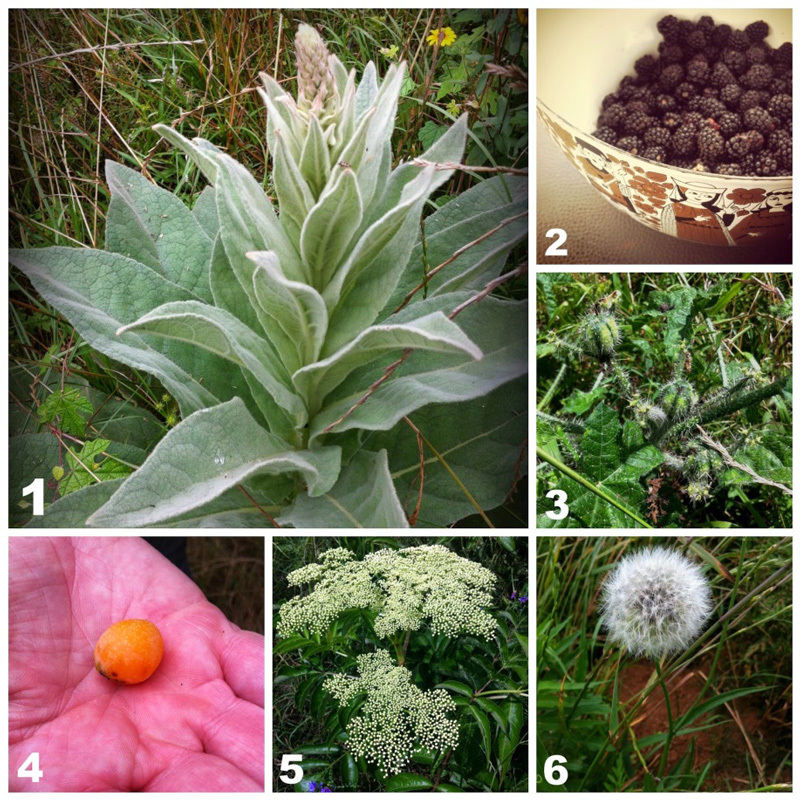 A novice forager, I know I have only discovered a fraction of the edible and healing plants on the site. In glimpses, songs, and chance meetings, I've seen some of the wildlife that has helped sustain life in East Texas. Both the common place sightings of buzzards and the rare treat of a coyote or eagle ties my experience today with the people I study in history and myth. In 1905, an ethnographer named George Dorsey collected and published the traditional stories of the Caddo people. These stories, along with traditional songs and stories still being passed down to new generations, add to my understanding of the Caddo Mounds site. As I make friends with the characters of traditional Caddo stories, my interpretation and presentation of this small piece of sacred land is enriched. And as I explore the mound site, I find myself looking for the characters in the stories I'm learning. Even a glimpse of one of the many deer who claim Caddo Mounds as home is a thrill. 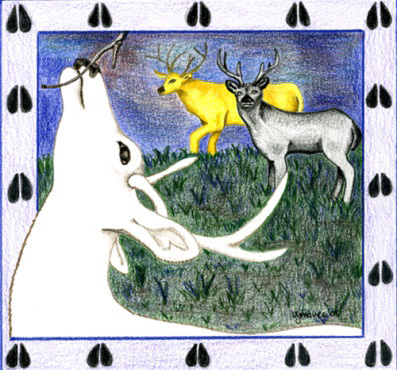 As told by Tsa Bisu "Mr. Wing"
"There are yellow, black, spotted, half spotted, and white deer upon the earth. These deer are here for some purpose. If you kill the yellow deer, everything will be yellow all the time. If you kill the white deer, everything will be white all the time, if you kill the spotted one, everything shall be spotted and very bad. If you kill the black one, everything shall be black as it is now. But if you kill both the black and the white deer, then we shall have day and night. During the day everything will be white and we can go about and hunt and visit, and during the night we can return to our homes and rest." The people accepted the prophet's words and start out and hunted until they killed the black and white deer, and from that time we have had day and night. 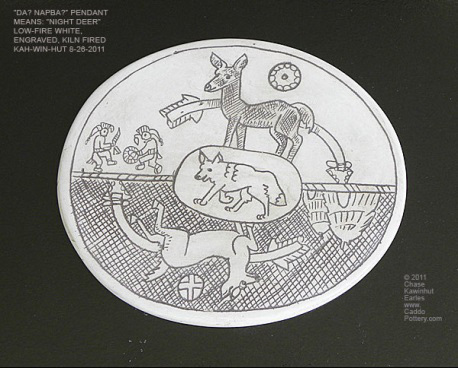 I would encourage all of you, on your next visit to Caddo Mounds, to look beyond the wayside panels and mounds for the evidence of Mother Earth’s (Wa-da-t’-i-na) bounty, a gift that brought the Caddo, and all who followed, to eastern Texas. 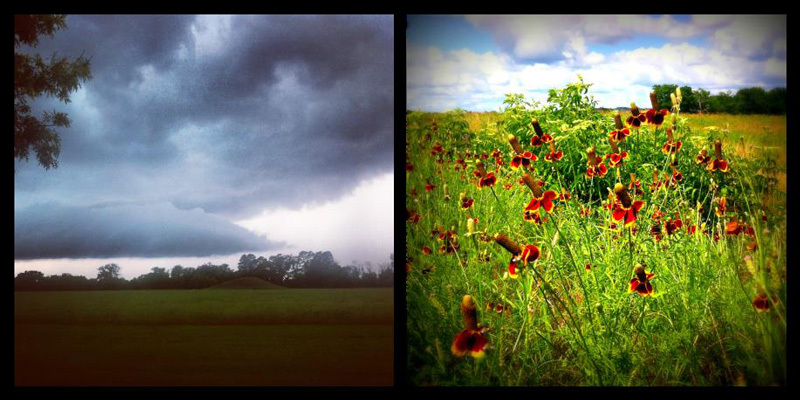 Nature views at Caddo Mounds State Historic Site. Beautifully written and evocative. Congratulations!